After a 3-year break, the festival was once again arranged in Fredrikstad November 7th-11th 2007. The festival included screenings of Norwegian and international animation, seminars, and workshops. The 2007 festival could offer 8 programmes, approximately 70 short films, and 4 features. In addition to this, we also had programmes set up for school screenings. The international jury consisted of: Terje Rangnes, Midhat ”Ajan” Ajanovic and Sylvie Bringas. In 2007 the Golden Gunnar for Life time Achievement was awarded to Erling Ericsson for his lifelong work with kids and animation. This award is given by Norsk Animasjonsforum. In addition to the awarding of the ordinary competitive programmes, we also had the honor of awarding the ANOBA award in 2007. ANOBA (Animation Nordic & Baltic) was a collaboration between the Nordic Baltic animation festivals. The films nominated for the ANOBA Award are selected throughout the year during each festival, by each festival’s international juries. The winners of the ANOBA award will go on to compete for the Cartoon d’Or. Toril Kove´s Den danske dikteren was nominated to the 2008 ANOBA award by our international jury. Animated documentary: fact or fiction? A retrospective programme on animated documentaries was for the first time ever presented during Animerte Dager/Oslo Animation Festival in 1998. FAF 2007 wished to do a follow up on animated documentaries, and put together a seminar on the subject. Gunnar Strøm: professor of film and TV at Volda College. 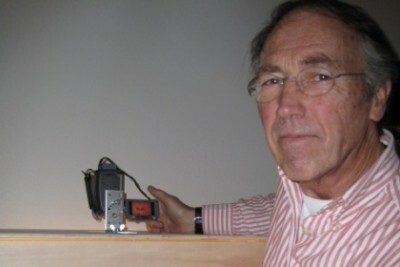 Gunnar has written multiple articles on animated documentaries and programmed a retrospective of animated documentaries in 1998. Gunnar was the leader of the seminar. Kajsa Næss: Norwegian director and animator, known for films like Filmen om meg (2000) and Leonoidestorm (2004). Jonas Odell: Swedish animator and co-founder of “Filmtecknarna”. His animated documentary Aldrig som första gången won the Golden Bear for best short film during the 2006 Berlinale. Paul Wells: Leader of animation studies at School of Art and Design, Loughborough University. He is one of the most recognized theorists on animated documentaries today. The exhibition Having Soul could be seen at Fredrikstad Kino during the festival, to celebrate the 50th anniversary of the Estonian animation studio Nukufilm. The exhibition features more than 100 puppets from their enormous productions, and gave an introduction to stop motion animation. Nukufilm is one of the oldest puppet animation studios in the world today. Producer Ove Heiborg and director Rasmus Sivertsen, both from Qvisten Animation, presented clips from their new feature length film Kurt, based on Erlend Loe and Kim Hjortøys books about the truck driver by the same name. Over the last couple of years, Jonas Odell has been a popular and sought after director of music videos, working with such bands as Erasure, Goldfrapp and U2. During the festival he presented a programme focusing mainly on music videos. French/British Sylvie Bringas is a director and producer at Animus Films. She presented her new animated documentary Silence, made in collaboration with Orly Yadin.